New Likud MK is under full-scale media-political assault for allegedly arranging drugs and prostitutes for casino guests in Bulgaria. 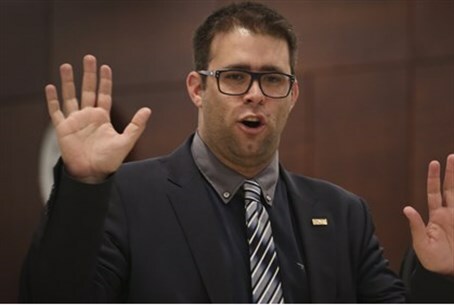 Genderist (radical feminist) and leftist Knesset members are piling on MK Oren Hazan (Likud), who finds himself under a severe media attack after a Channel 2 investigative report accused him of arranging drugs and prostitution services for clients in a casino hotel he ran in Bulgaria before running for Knesset. The genderist MKs, in particular, are incensed at the prostitution-related charges. MK Rachel Azaria of the Kulanu faction, a member of the coalition, said that if the report is true, Hazan cannot remain a Knesset member. “The information revealed in the investigative report about Oren Hazan is very disturbing,” said Azaria, who was a prominent crusader against the Jewish concept of complementary gender roles (“women's exclusion”) as a member of the Jerusalem Municipal Council, before her election to the Knesset. "Trafficking in women is one of the most serious evils taking place in the world today, and it is not for nothing that there is a special committee in the Knesset that deals with this issue,” she noted. “The personal example that his alleged deeds give the Israeli public in general, and youth in particular, is very problematic, to put it mildly,” Azaria stated. "If the details that were revealed are true, and Hazan did, indeed 'arrange call girls for his clients,' I am not even the least bit amused. Pimping in women is a moral and human low and whoever does this has no place in the Israeli Knesset,” she stated. Hazan denies the allegations regarding drugs and prostitutes, and is threatening legal action against Channel 2.